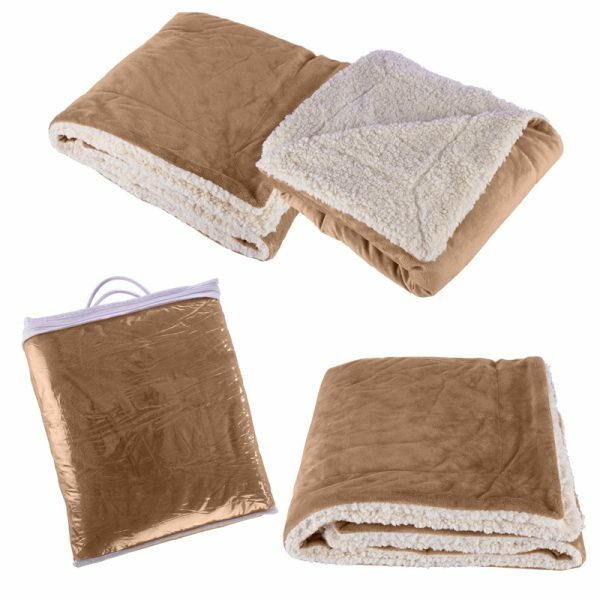 These premium blankets are a deluxe double layered blanket with a soft velour polyester faux fur on one side and cozy lambswool Sherpa on the other side. 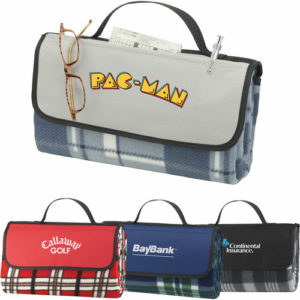 They feature a hidden 13″ embroidery pocket with a concealed zipper for easy decoration. 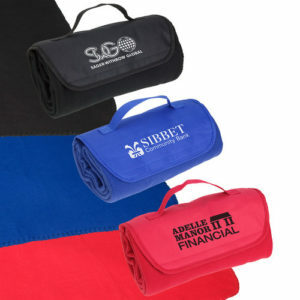 Each blanket comes folded in a clear vinyl zip storage bag with a top carry handle. 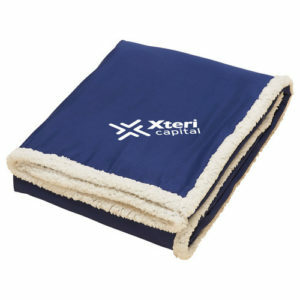 The price includes embroidery up to 7,000 stitches.